Located in the main square of the historic center of Old Antibes - le marché provencal surrounded with cafés, restaurants and boutiques- this appartment has been totally renovated in 2011. The new windows isolate the appartment (noise & thermal protection). The nearest beach is at 500m. Tolle Ferienwohnung in der Altstadt!! Eine superpraktische und gepflegte Ferienwohnung. Ruhig gelegen mitten in der Stadt, nah zu den Stränden. Die Wohnung würde ich jederzeit weiter empfehlen oder selbst noch einmal mieten. Wir waren 4 Erwachsene und 1 Kind. Genug Platz für alle und einfache Haushaltsführung durch Komplettausstattung. "Great location. Great apartment close to everything we needed on our holiday"
"Alloggio meraviglioso nel cuore antico della città, vicino al mercato provenzale, ma assolutamente silenzioso. Comodissimo alle spiagge e a tutte le attrazioni della città. Alloggio fresco, pulito, elegantemente arredato, comodissimo per 6 persone (tutti in 3 camere da letto). Isoline è stata gentilissima, attenta alle richieste e molto amichevole, grazie. Lo consigliamo senza nessun dubbio." "The best choice of accommodation in vieil Antibes! Perfect located, Just now really renovated and very comfortable. Two bathrooms for three bedrooms is absolutely fabulous! Both bathrooms are spacious enough and are completely equipped by all necessary. There are no problems with a pressure of hot water that very important for the big company or a family. The very friendly hostiess and people around. With pleasure recommended!" 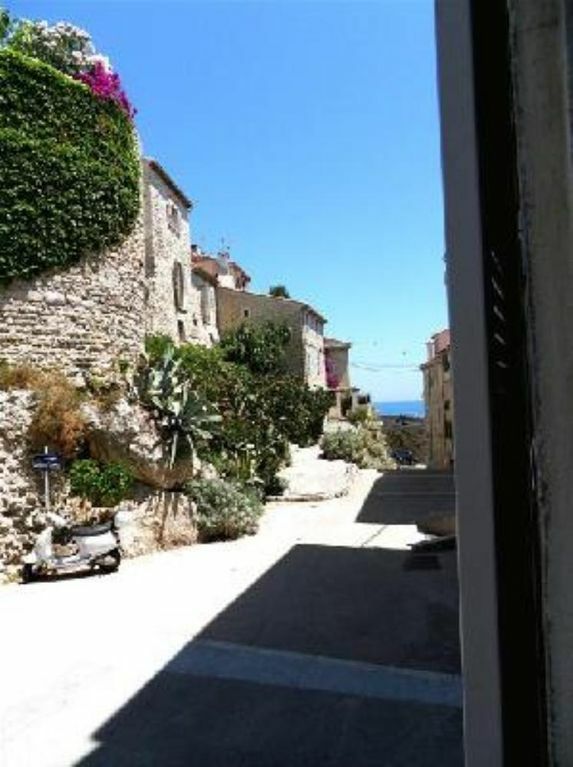 "Bel appartement (conforme à l''annonce et aux photos) entièrement refait à neuf et situé au coeur de la vieille ville d''Antibes. Accueil chaleureux sur place et formalités de réservation avec le propriétaire simples et rapides." "The house is very comfortable.Everything was perfect. It''s in a fantastic position." Easy acces by all transportation means. Airport at 20km, railway station with TGV train at 1km, bus station: a car is not necessary as everything is at walking distance or can be reached by train or bus. Antibes Old Town (Vieil Antibes) is literally on your doorstep with le marché provencal which sells fresh food daily, surrounded with boutiques and cafés. Direct acces to the sea with le Port Vauban with its marina, la plage de la Gravette (500m) and all the related maritime activities. The old city concentrates a lot of museums (musée Picasso, d'archéologie) and historic buildings (la cathédrale, les remparts / sea walls).